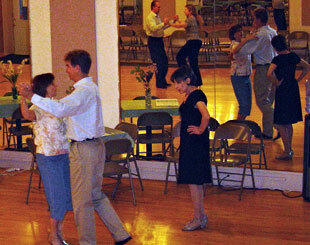 At Riverfront Ballroom and Latin Dance Center, the primary mode of instruction is through private lessons. During your private lessons you will work one-on-one with your instructor. Throughout these lessons your instructor will show you steps or patterns that apply to specific dances. They will also instruct you in your own personal attention areas including: leading/following, timing and rhythm, musical training to identify which dance is appropriate for specific music, and personal style and expression. The advantage of private lessons is that your instructor gets to know you on a personal basis. They can focus your lessons towards your goals but also teach in a manner best suited to your learning style. Lessons are scheduled at your convenience Monday-Friday: Noon-10pm; Saturday mornings & early afternoon by appointment. Admission $10.00 per person or $15.00 for both classes when you sign up at the desk. Starting in September Two classes for $10.00. For advanced students but new students are welcome. Please call our studio for more information about what dances will be taught for that month. Practice is essential to mastering any skill. 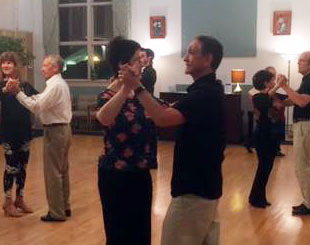 These practice sessions afford you the opportunity to practice your dancing in a social setting, meet new people and have fun! 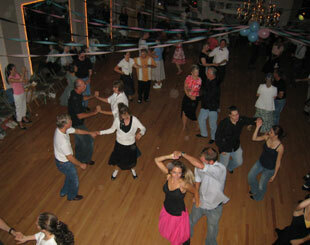 Check our Calendar for dates of our Saturday Open Dances. $10.00 per person. Enjoy 2 Hours of fun practicing your moves with a great selection of dance music. Refreshments & snacks provided.